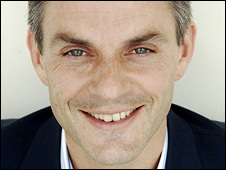 Tim Davie, CEO of BBC Worldwide, has suggested that the corporation’s commercial arm still has a lot of organic growth potential from its activities, admitting that in the past, such growth had often come from acquisition of ‘low-hanging’ properties. Davie, who assumed the role April 2nd following a spell as Acting Director-General following the resignation of George Entwistle in November 2012, is seeking to reorganise the unit’s operations, re-establishing a geographic identity. Having effectively served as the BBC’s editor-in-chief, he sees a similar responsibility in his new position. “I want to drive a lot more editorially with a focus on premium content. Focus can deliver growth,” he told the FT Digital Media Conference 2013 in London. He drew attention to BBC Worldwide’s recent deal with Foxtel in Australia for the new BBC premium content channel. “This will have high-end, top-end content,” he advised. He suggested that BBC’s channels business was a ‘nascent’ sector with growth potential, but stressed that concepts such as ‘BBC Earth’, based on the corporation’s extensive natural history library gave rise to channel, live event and branding opportunities. He felt that connected TV was a “massive opportunity” for the best creatives, with possibilities for deeper connection. “The Olympics blew apart the preconception that people would stick with linear,” he observed.